Too often in the world of tennis traditions are lost and now there is the chance of another one falling by the way. There has been a chorus of voices suggesting that five-set matches in men’s tennis should be done away with. If best-of-five set matches are eliminated, one of the fundamentals of the sport will be assigned to the history books and that will be a shame. Future generations of the sport will only be able to read about five-setters, rather like reading about an extinct creature or seeing video footage at a museum. To be in the presence of a stunning five-setter is to be enveloped in drama, to be ensconced in more thrills and turns and twists than a John Le Carre book. Five set tennis in the majority of cases remain vivid. It is majestic to watch. There is way more chance someone will remember a five-set blockbuster than a best-of-three-set short story. 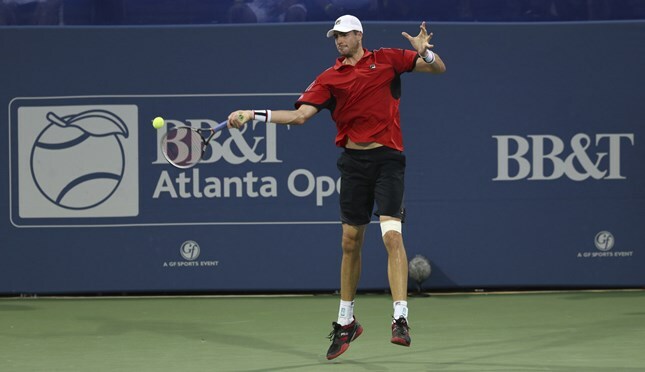 Years after they’ve been played, five-setters are recounted for emotions that erupt like a spewing volcano, for shot-making skills and their sheer glory -- the most famous of all being from Wimbledon in 2010 in the first round between three-time Atlanta champion John Isner and Nicolas Mahut. It ended 70-68 in the final set. Sure Isner was drained after that win and he lost in the next round but would anyone have been talking about it if it was a three setter? No! Five set matches are the agony and ecstasy of tennis and must be left in place. They are like a great symphony building to a crescendo. The stunning five-set finals Roger Federer and Rafa Nadal played at Wimbledon in particular the 2008 match which is regarded by many as the greatest match of all-time. Pete Sampras against Jim Courier at the 1995 Australian Open. Andre Agassi coming back to beat Andrei Medvedev in the 1999 French Open final. And then this year’s Olympic final between Andy Murray and Juan Martin Del Potro which was four sets of glory. None of this history would be there if they were best of three. In fact, how many best of three set matches are remembered? Zippo! It is not as if five-setters are played week in and week out. Certainly there would be an argument against best-of-five if that were the case but fives are only played at the four majors and at Davis Cup and at the US Open and Davis Cup the fifth is a tiebreaker. Players of the past without the access to today’s sciences were able to play five setters at more events, and while modern technology has made the sport more physical one would expect that to have balanced out due to the extraordinary levels of training. Tennis has rightly streamlined itself enough but five-setters need to be kept for the game’s integrity and the chance to still witness the magnificence this great sport has been built on.